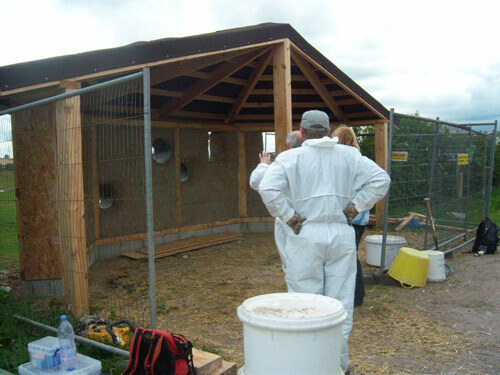 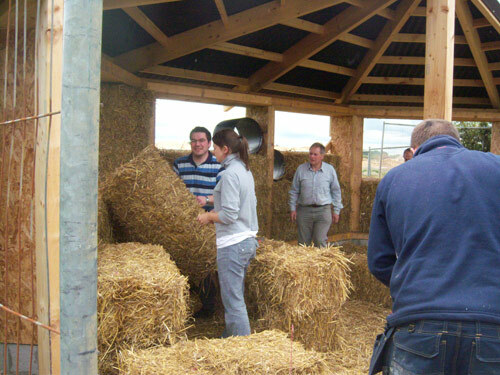 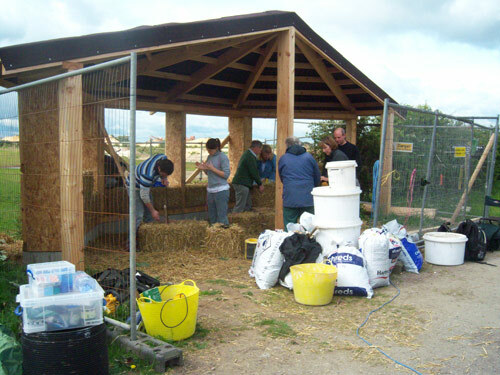 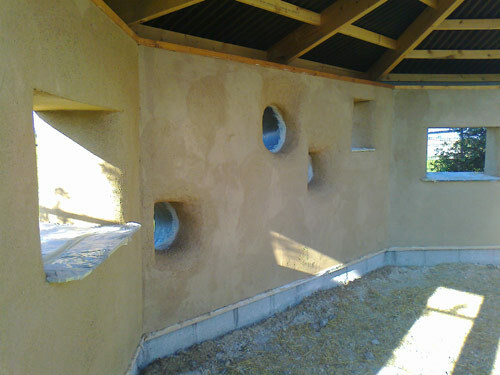 This screen was constructed with local wheat straw bales, lime rendered inside and out. 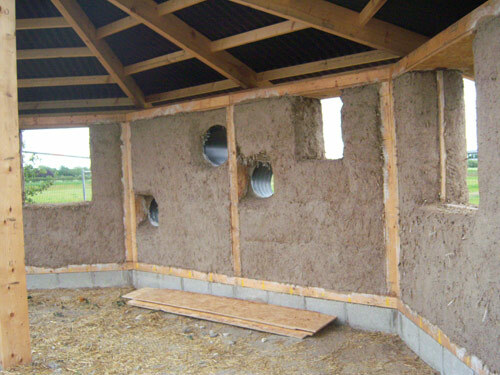 The roof was covered with Onduline, a bituminous corrugated sheet made with recycled cellulose fibres. 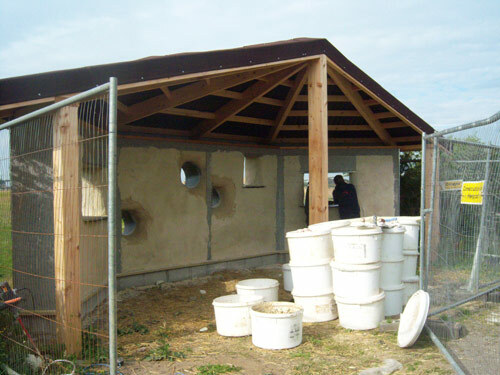 The unusual round viewing slots were formed using plastic liners from the local drainage company.